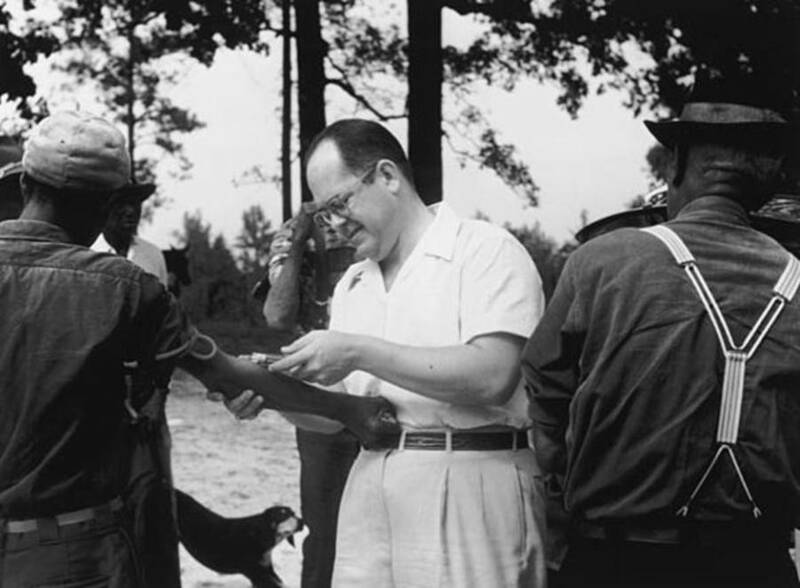 The U.S. government used Americans as unwilling test subjects in their human experiments and got away with it for decades. Science is hard, and good science requires a lot of work to control variables and manage large amounts of data. Medical science, in particular, usually calls for elaborate precautions to be taken, not just to ensure the accuracy of the data, but to protect the test subjects. People have rights, after all, and it’s highly unethical to subject them to drug trials against their will or to poison them without consent to test a theory. Those constraints make medical research one of the hardest fields to work in, since most experiments have to be done on animals, and the findings are not necessarily applicable to humans. Over the years, however, some American medical researchers have deliberately violated the rules to gain the inside track to scientific knowledge, usually at a horrific cost to the innocent people involved. The results of these human experiments were atrocious. Public DomainA squad of soldiers from New York lines up waiting for orders to enter the gas chamber. Once inside, the mustard gas would be sprayed over them and the men would sometimes be ordered to remove their masks. 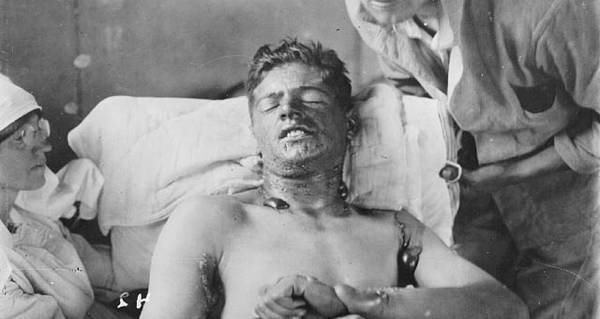 It’s a curious fact that, after the horrors of World War I, chemical weapons seem not to have been used during World War II. U.S. military officials in the early part of WWII didn’t know for sure that that would be the case, of course, and until 1943 or so, there was a legitimate fear among British and American leaders that Germany would turn to chemical weapons as the tide turned. 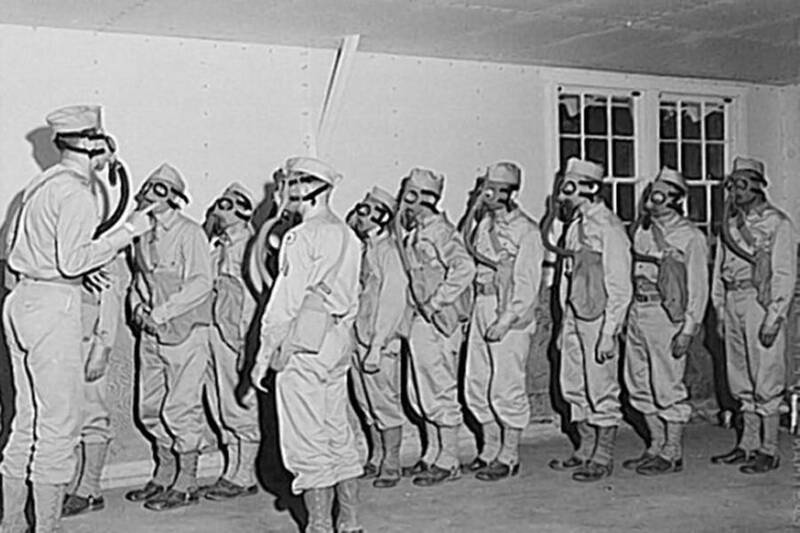 That fear was a big part of the reason why the U.S. Army used its own soldiers for human experiments to test the effects of mustard gas on otherwise healthy young men. Of course, nobody in their right mind would volunteer to have mustard gas tested on them. The “gas” is actually a sticky, oily resin that causes chemical burns on exposed skin and uncontrollable bleeding in the lungs when it’s inhaled. That’s probably why the Army didn’t bother asking for consent from the soldiers it exposed in Panama in 1942. Wikimedia CommonsArmy test subjects enter the mustard gas chamber for a test. Later, they would be treated for chemical burns at base facilities. After the war, the VA regularly denied their claims because of the experiments’ secrecy. The purpose of this test was to work out how well mustard gas would work in tropical environments, such as the islands that American soldiers would soon be fighting across in the Pacific. 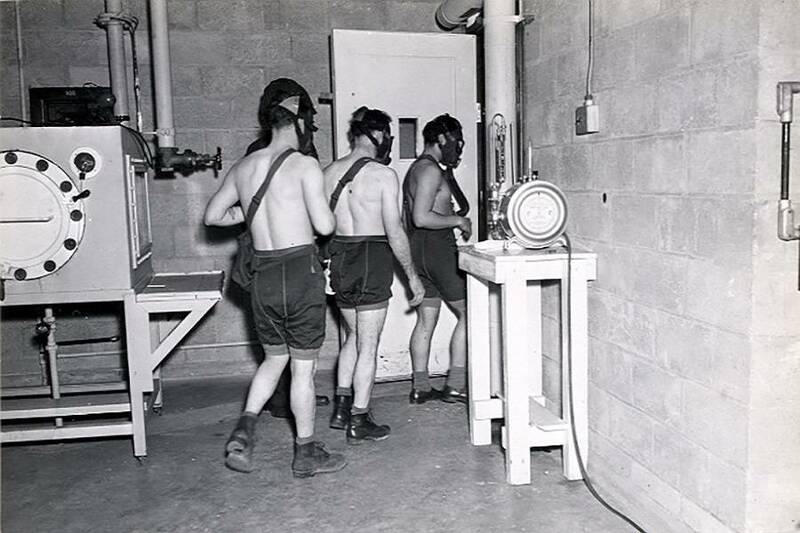 Perhaps as many as 1,200 recruits, tested in small teams for several weeks, were ordered to strip to the waist outside of a wooden chamber on base grounds, then sent inside and doused with the chemical agent. It turns out that mustard gas works really well in tropical heat. According to one survivor, all of the men began writhing around and screaming in pain as the chemical burned through their skin. Some pounded on the walls and demanded to be let out, though the doors were locked and only opened when the time was up. Though the men were treated immediately following the experiments, they were threatened with military prison if they ever disclosed what had happened to anyone, including their own doctors later in life. When the story finally broke in 1993, more than 50 years after the tests, only a few survivors could be located for compensation. The Pentagon is still officially “looking for” test survivors, the youngest of whom would now be 93 years old.